So What Exactly Are "Dragon Balls"? With a staggering 99% THC content, “Dragon Balls” are amber spheres of cannabis extracts as pure and beautiful as it gets. 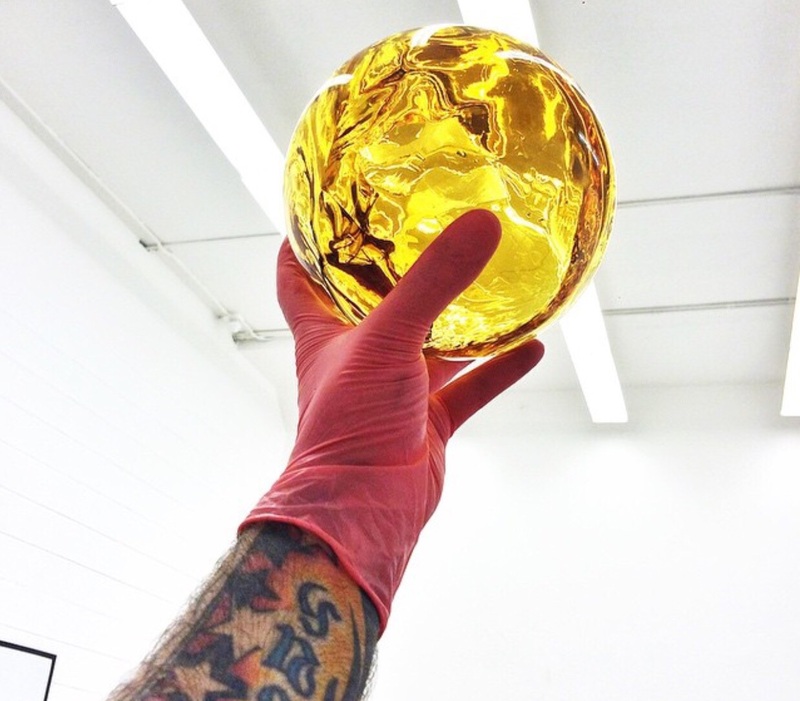 What looks like magical orbs, perhaps from a video game or fantasy novel, Dragon Balls are actually giant glass balls of pure cannabis oil, measuring a mind-boggling 99% pure THC. Devised at X-tracted Labs, in Seattle, the process begins by using a hydrocarbon concentrate known as “The Clear.” This concentrate is made using an extraction process that strips everything from the cannabis plant except its essential compounds known as cannabinoids. The process drips the final product into glass globes. What a great question, I’m glad you asked. Creating these magical dragon balls is one thing, perhaps the easiest of the process. But what is enjoying the effects of THC without the flavor and aroma that accompany it? But before you start asking about flavors you must understand how they work. By reintroducing terpenes, aromatic oils that naturally occur in many types of vegetation, including cannabis, into the solution after extracting it, they are able to fine-tune the aroma, taste and even effects of the THC. Terpene levels can be adjusted to make strains more uplifting, sedating, stress-reducing and so on. Terpenes can be added just for flavor profile or to enhance the natural effects of that particular strain of cannabis. Yes friends, beyond Sativa and Indica, the terpenes give the nuanced experiences you find in those cool sounding names given to these strains. The Clear is the breath of dragon balls, it is the fire from the belly of the beast, clear and untainted. It is everything from the cannabis plant except its essential compounds known as cannabinoids. Hence the 99% THC content. Is it oil? shatter? wax? The correct answer is none of the above. They are mixed in with a propylene glycol solvent. The Clear is not. It is a distillate which is made thinner and runnier using terpenes to do so. This is what gives is its crystal clear appearance. The amber sphere is as pure and beautiful as it gets when it comes to extracts. How do I smoke dragon balls? The Clear can be dabbed or vaped. As noted earlier, they can be left natural or enhanced with some pretty awesome flavors like Banana Cream and Lime Sorbet. Those who have dabbed with it have said they have not tasted anything more true to the flavor name it has been given. They almost thought they were eating fruit and not dabbing some sweet, sweet cannabis. It remains to be seen if that was just the effect of the high THC levels or not. We can’t be sure at this point, but the best way to find out is to try it for yourself.